1 What is a fire curtain? 2 How can fire curtains be operated? 3 What is the history of the fire curtain in the theatre? 4 Are all theatrical safety curtains constructed safely? 5 Do all theatres need safety curtains? 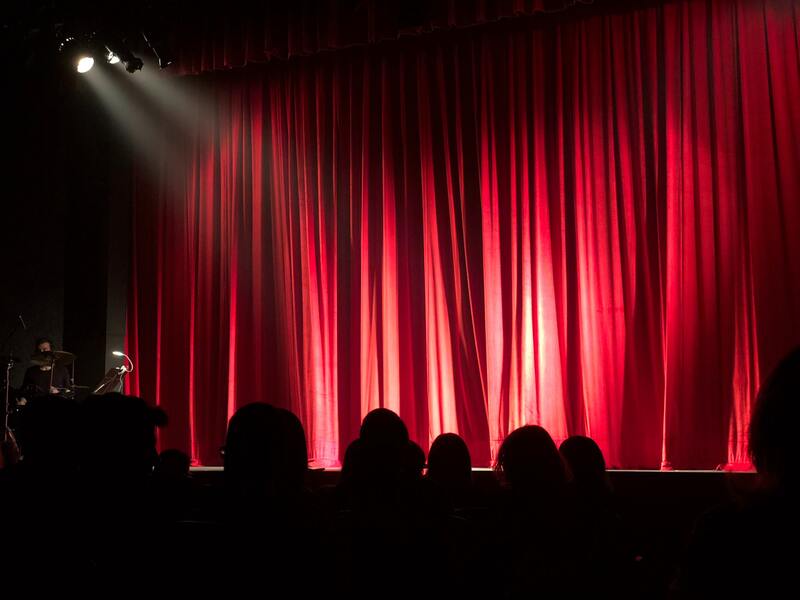 6 What are the major advantages of theatrical safety curtains? 7 Do productions ever make their own unique safety curtains? This article will discuss the appearance of the fire curtain in the theatre. It will discuss its uses and how it can prevent the spread of a fire from the stage to the auditorium. This article also looks at the history of fire safety, including fire curtains, in the theatre. If you go to the theatre often, you may well have seen the safety curtain in front of the more decorative dress curtain descend and ascend again at some point during the show. This has most likely been during the interval, or possibly finally after the last encore, when it descends to signal the definite end of the show. If you have keen eyes, you will probably have noticed that, whatever show you go to see within a traditional theatre, whenever the fire curtain comes down, the scenery is all behind it. The fire curtain, then, is the final barrier between the audience and the show. Even in a traditional proscenium arch theatre, this curtain comes in front of the beautiful red curtains that represent the theatre as an idea. However, what is the fire curtain, and how did it come to be part of the theatrical experience around the world? What is a fire curtain? Fire curtains are heavy curtains traditionally made of iron or fibreglass which are designed to be able to drop on the front of the stage, in the event that a fire breaks out on-stage, to ensure that the audience is not endangered. Throughout history, theatres have sought to incorporate as many effects and pyrotechnics as the state of technology has allowed – and, with health and safety not always having caught up to the state of the art, this has led to many theatre fires over the centuries. The most famous British example of a theatre fire is probably Shakespeare’s original Globe Theatre, which burnt down in 1613 after a cannon, fired as part of a play, misfired into the thatch of the roof, starting a blaze which burnt the building to the ground. This is one example of pyrotechnics which could not have been stopped by an iron safety curtain. Indeed, the new Globe Theatre is one theatre which, due to its accurate recreation as a polygonal theatre with no wings or proscenium arch, does not have a safety curtain. Wherever safety curtains are used, the risk from pyrotechnics is greatly reduced. The Gran Teatre del Liceu in Barcelona has suffered two major fires since its opening in 1847. The first, in 1861, gutted much of the stage and the auditorium. Disaster struck the theatre again in 1994, when a spark from a routine repair fell on the flammable stage curtain and set it alight very quickly. These incidents point to the importance of fire curtains as preventative measures. How can fire curtains be operated? There are multiple systems for operating fire curtains. Most modern systems run on an automatic system ensuring that, if fire is detected by the system, the curtain descends on the front of the stage, protecting the audience. In some older theatres, there are still backstage levers that the stage manager can pull to make the curtain lower manually, a measure which gives a person backstage a hand in preventing disaster early. Many modern systems run water down the curtain as it descends to attack a potential fire on as many fronts as possible and ensure that there is time to get the blaze under control before the auditorium is destroyed. What is the history of the fire curtain in the theatre? The fire curtain was first seen in a British theatre in 1794 at the Theatre Royal, Drury Lane, an industry leader in many regards. The fire curtain, like all early fire curtains, was made of iron, which led to the theatre slang of calling the theatre curtain an “iron” in English theatre. Some theatres did take up the fire curtain over the course of the early 19th century, but this was not legally mandated at all venues. It was not until after the tragic fire of 1887 at the Royal Theatre, Exeter, which claimed nearly two hundred lives and could have been prevented by the presence of a fire curtain, that they started to become the norm in theatres across Britain and America. However, these changes were slow in coming and sometimes not treated as real requirements of running an effective theatre. The cost of installing a high-functioning fire curtain could also be considerable, especially when being fitted into an existing theatre for the first time. While the addition of safety curtains was taken up widely, they were not always taken up in the most effective ways. In the case of the 1903 Iroquois Theatre fire in Chicago, the theatre was not well-designed for fire issues, and the curtain itself jammed during a stage fire while only half-descended. This allowed the fire to spread beyond the stage. This and other design failings led to the deaths of six hundred people. After the disaster at the Iroquois Theatre, there was a more widespread realisation of the importance of good fire safety in theatres. Legislation gathered momentum across Britain and America and elsewhere in the following centuries for the increased importance, although not always the necessity, of stage curtains. In Britain, a law was passed requiring that the curtain be lowered during every performance to reassure audience members that they were safe from fires, and this law has been taken up in other parts of the world as well. This is one reason why the curtain is often lowered during the interval and then raised again – although, for shows with pyrotechnics, there is also a more general safety concern about the ever-present danger of fires breaking out. Are all theatrical safety curtains constructed safely? For much of the 20th century, asbestos was used in the construction of the safety curtains used in theatre safety curtains around the world. While asbestos was used and acknowledged as deadly as far back as Roman times, in the 20th century, it was repackaged as a miraculous wonder material and used in a wide range of purposes. The qualities of sound dampening and very effective fire-proofing made it an ideal material for safety curtains. Its use in safety curtains was not an immediate health hazard, as in the use of sprayable paints containing asbestos, which can cause serious health issues due to their blowing around the air and environment. Asbestos in safety curtains was often sealed safely away from the air, but still represented a serious health risk, which led to theatres overhauling their curtains in the latter quarter of the twentieth century, when the negative effects on public health were realised. Modern safety curtains have switched towards fully iron and fibreglass since the 1980s, with the focus on ensuring that they are not a long-term health risk to the theatre staff. While the safety curtain is designed to protect the audience in case of emergency, it is important that long-term exposure to a safety device does not result in a health crisis among the theatre technicians building up slowly over time. The newer curtains avoid this with their safer constituent parts, although fibreglass can still shed material over time and lead to coughing fits. Do all theatres need safety curtains? While all large theatres tend to require stage curtains, in the United States, it is acceptable for smaller theatres to merely have fire retardant tabs, black curtains made of material that does not burn. The determining point in size is whether the stage is higher than 15 metres/50 feet. While only larger theatres than this in the United States require safety curtains, in the United Kingdom, there is a more ambiguous measure. All larger British theatres contain safety curtains, and the rule for proscenium arch theatres at present is that they should offer protection to the audience against fire to prevent the kind of disasters which struck in the past in events such as the Iroquois Theatre fire in Chicago in 1903. In most older theatres, this is in the form of the theatre iron, and the state of the law can leave some uncertainty. A 2005 Act rules that all fire measures must be kept in working order, implying that theatres with safety curtains in place must maintain them. However, in the past, it has been possible for theatres to dispense with their fire curtains after they were found inoperable, and still continue to run as theatres. This was only possible if the theatre showed that its fire safety plans, sprinkler systems and evacuation plans were up to the task of preventing the causes of previous theatre fires. Many smaller venues built recently are constructed without any curtain at all, and different contexts often determine whether or not a safety curtain is needed, as do the choices of the local authority. The modern need for a safety curtain can also be determined by the presence, or lack thereof, of other safety features. What are the major advantages of theatrical safety curtains? With a lot of extremely high-powered machinery in the stage, the fire safety curtain has kept audiences safe for over two hundred years. Having the curtain ready to descend speedily is essential in preventing smoke inhalation among the audience. Even in a large auditorium, and especially in a small space, the effects of smoke for audience members with sensitive throats or lungs or with conditions such as asthma can present a serious health concern even in the event of a small, containable fire. In the event of a slow-moving larger blaze, smoke inhalation can be a deadly threat to everyone in the auditorium. The fire curtain’s main role is, of course, to keep the fire contained away from the audience. In modern theatres, this is combined with a “chimney”. This is a large opening above the stage and backstage area which will, in the event of fire, open wide to the sky above, ensuring that the fire can escape up and out of the theatre and that the only areas destroyed are the set and backstage areas. Safety curtains are often designed with sprinkler heads for water to run down from a sprinkler system onto the stage as well. This further distils the effect of fires on-stage and brings a lowered chance of fires spreading. With this said, many stage fires in the 20th century were caused by electrical equipment with a very high wattage getting wet on-stage and short-circuiting, so has brought its own risks. However, these risks are balanced out by the presence of the safety curtain – which, in the event of this emergency, would ensure that any further issues were not a danger to the audience and only affected the set and backstage area. Safety curtains are also an incredibly useful safety feature in the event of a fire when the theatre is empty. While some smaller venues do not have safety curtains and instead rely on fire route planning and good practice for evacuating a full theatre, in the unlikely event of a fire starting while the theatre is empty, these measures may not be able to stop the fires spreading from the stage into the auditorium. In this case, without a safety curtain in place to fall automatically to curtail the process, the time it would take for a fire to be discovered would most likely result in a blaze of the kind seen in the late 19th century, when theatre fires were all too common. Do productions ever make their own unique safety curtains? Many theatres have highly decorative safety curtains, partly to distract from how unattractive an unpainted iron curtain is. The Theatre Royal, Drury Lane is one example, with an ornate gold inlay, but individual productions such as Matthew Bourne’s Sleeping Beauty and the London production of Heathers also had their own stylised safety curtains which reflected the imagery of their productions. These small extra steps helped to add to the audience experience of the show while ensuring a safe show for all involved.